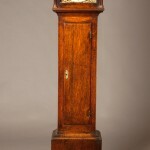 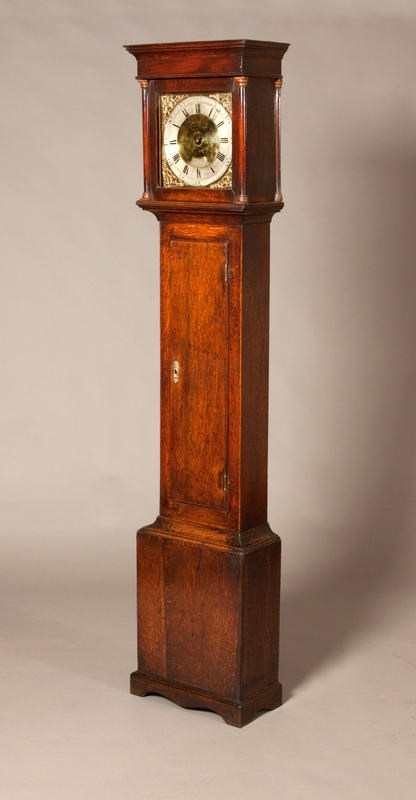 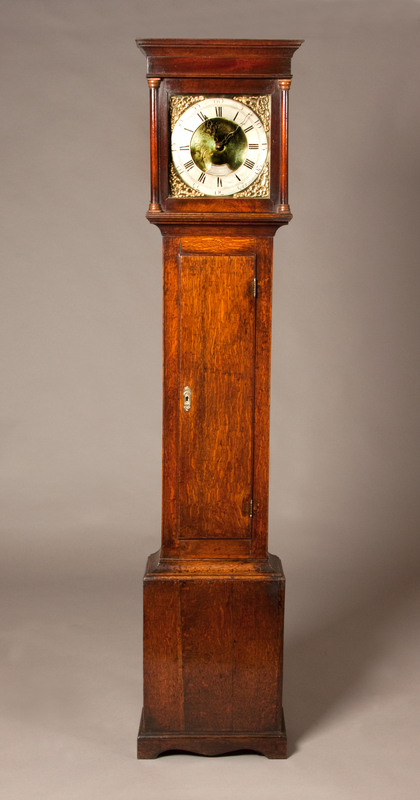 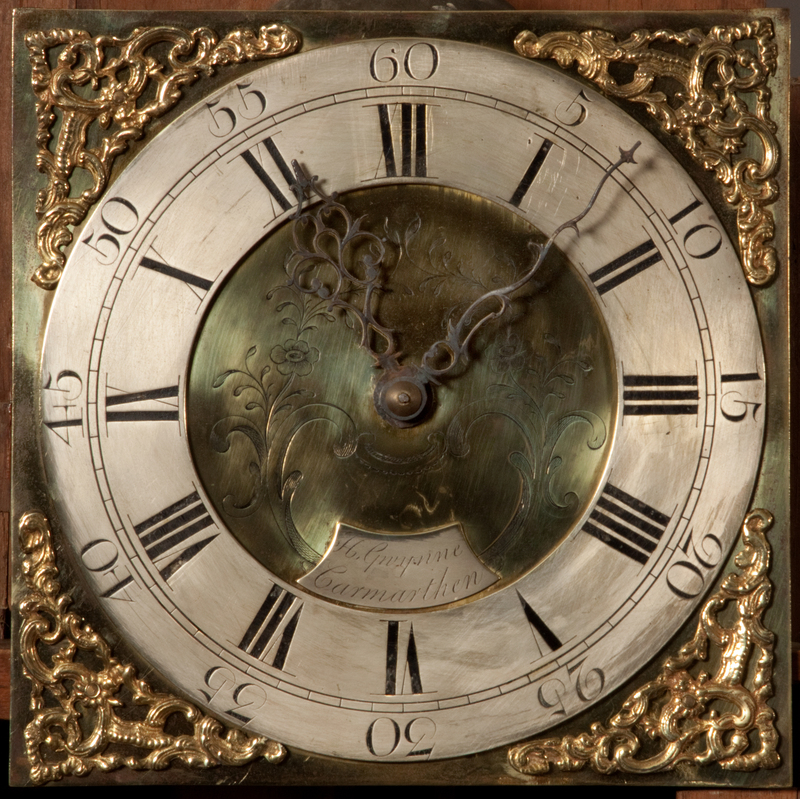 By Henry Gwynne of Carmarthen, with a brass face, a thirty hour movement and a slim Welsh oak case with mahogany cross banding to the hood. 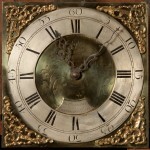 Henry Gwynne is recorded in the 1760’s maintaining and repairing the clock at St. Peters Church, Carmarthen. 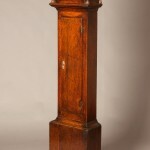 A longcase clock by Henry Gwynne at Carmarthen museum.